In Michigan, there is ample opportunity for residents and visitors to enjoy boating and other recreational activities, which can be fun but also dangerous. While it's not unusual to sustain minor cuts, bruises and muscle sprains in the course of enjoying recreational activities, severe accidents caused by the negligence of those who are responsible for the safe design, development, manufacturing and operation of recreation equipment and facilities are another story. At Baldwin Legal Services PLLC, we represent victims of boating and other recreational injuries, working tirelessly to help our clients obtain fair compensation for their damages. Old or poorly maintained equipment, manufacturing or design flaws on ATVs, golf carts or boats, improper supervision and untrained or under-trained staff are among the causes of serious injury for patrons of theme or amusement parks, ski areas, golf courses, swimming pools, skating rinks and fitness centers. The true causes of auto, boating and recreational vehicle accidents are not always readily apparent — and insurance companies are intent on settling potentially large damage claims as quickly and cheaply as possible. We frequently enlist accident reconstruction experts and other qualified professionals to help us evaluate all angles on your case and uncover evidence critical for pursuing the full, just compensation you deserve. Was the injured person the driver or a passenger? Did the accident or resulting injury result from defective equipment such as a failed helmet, after-market modification, or failed brakes? Did an essential design defect intended to improve aerodynamics of the boat, jet-ski, all-terrain vehicle (ATV) or RV cause it to be unstable? Was the negligence of a property owner or a concealed hazard the cause of the crash? Was alcohol a factor in the snowmobile, jet ski, RV or ATV wreck? Insurance companies may not want to compensate you for your recreational accident, but our experienced litigators are not afraid to fight for your rights. If necessary, we work with our network of experts to support your claim and ensure you receive fair and just compensation. 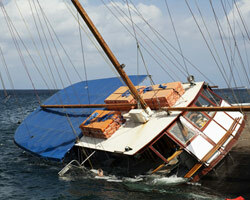 Baldwin Legal Services PLLC provides outstanding services for boating and recreational accident victims. Our personal injury attorney has a Master of Laws (LL.M.) in Insurance Law and knows how to protect you from the insurance companies, and to present your claim in the best way possible to ensure your rights are protected and that you get the maximum compensation available. Our client-focused approach, track record of sizeable verdicts and settlements, and reputation for success attracts recreational accident victims from throughout the state. If you or a loved one has been seriously injured in a boating or recreational accident, please call 877-886-1441 or contact us online to schedule a free consultation. We are available 24 hours a day and 7 days a week. Home and hospital visits are available upon request. We will work diligently to ensure that you recover the full measure of compensation to which you are entitled.